Left Outer Join returns all of the rows in the Current Worksheet and all the data from the matching rows in the Joined Data, adding rows when there is more than one match. This can result in an expanded row count. 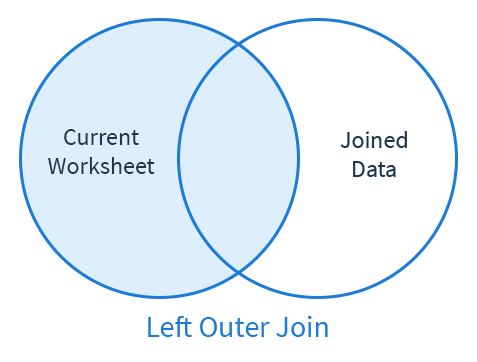 In the example below, we are using Left Join to join a customer information table with an order information table. We are using Customer ID, shown in columns CUST ID, as the Join Key. 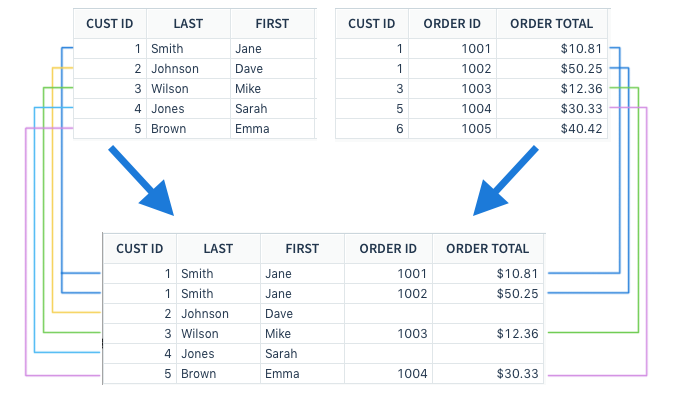 There is more than one order from Customer ID 1 in the order table, so an additional row is added to the table to accommodate the information. There are now two rows in the table that hold Customer 1’s data. Different Joins handle multiple matching values differently.